How One Can Create a Strong Brand Positioning? Do you want to create a strong brand positioning in marketing Industry? Have you ever imagined that how the more prominent brands get the perfect position in the market? Here in this post, we will understand the importance of brand marketing and how to create a complete brand image between the consumers. Before moving further lets quickly understand what is Market Positioning? Any brand in front of the customer will bring the insights of the product in certain ways. With keeping with the top competitors, it’s called market positioning. It creates awareness in the market and consumers get the basic idea about the product. It gives a way of marketing to understand this let’s take an example of Apple phones. Apple has always ensured that customers should still get something new. So before launching the product they create brand awareness. To build market positioning, Apple says iPhone will have a face unlock security. “Unlock your phone faster and keep it more secure.” By this, consumers get more details about the product, and they can experience new feature in iPhone only. Here, consumers will be attracted to you a company as they can experience something new.To create a Position in the market, one needs a perfect marketing strategy. The company should always follow the strong policy among the competitors and continue the process of promoting the product. This can improve the position in the market. Creating a brand positioning is not easy. You may have to choose from the multiple types of positioning in marketing to find the right product and services. Let’s not worry about how we have got the well-researched information which might help you to get things straight. Few of the market positioning strategy are listed below. Product Structure: One of the best ways to create a top positioning in the market is by telling the targeted audience what’s new in your product and what the benefits they’ll get from it. Product price: Some customers buy products once they have the bright idea about the product. If you think your product is best and the customer will pay you for that then tell them your price. Product quality: This is one of the essential parts of the market positioning strategy where product quality plays a vital role in product positioning. Ensure your product is built with the most beautiful material that your customers can rely on. Product Usefulness: There is a group of audience who would like to know how to use the particular product before buying them. If you are introducing something new, then this can be your positioning in marketing. Tell your customer how they can use this product to enhance their life. Competitors: This is silly but works best. You can share how your product is better than your competitors. Now let’s talk about targeting an audience. This is an essential portion if you want to reach your decided goal. Sometimes finding the audience can be a tough job, but not if you know how to approach your consumer. Demographic – Characteristics of the customer, age, gender, income, occupation, education, family status. Psychographics – Lifestyle, class, personality, values, opinions, attitudes and interests. Behavior – Targeting an audience based on their activities. You can know more about your audience by running social media campaigns. This will help you to understand what they like and don’t. Once you know how to approach your audience, you can start developing a market positioning strategy. This sounds easy right, but when you are doing this it requires lots of hard work, so don’t let anything hold your back. How to make a market positioning strategy? Know your product’s problems and defects. Make a plan to grow steadily in the market. 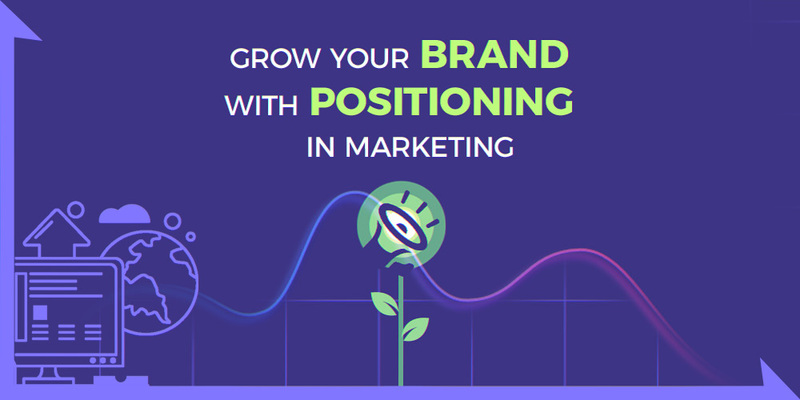 How can you get the faster result in your Positioning in marketing?